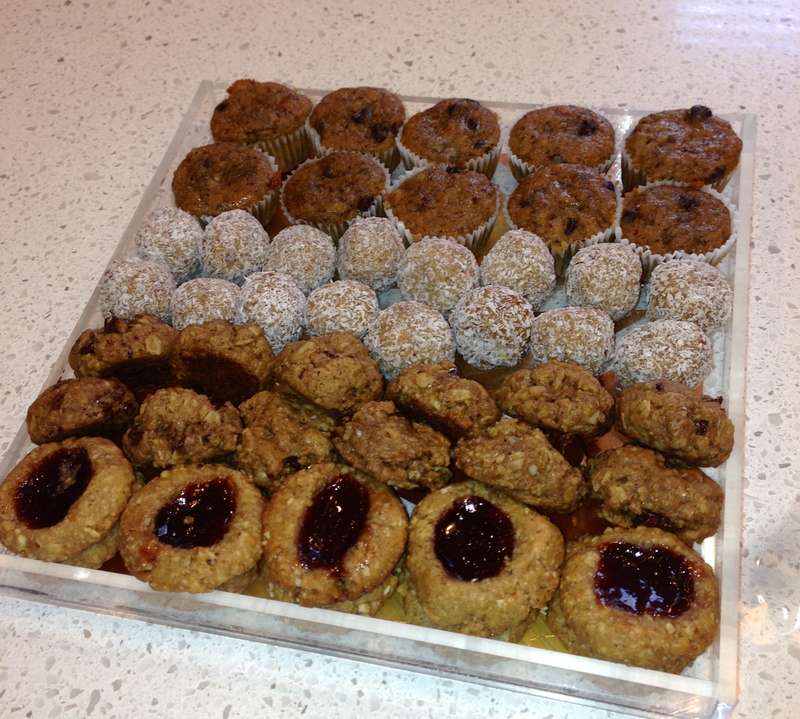 Every item on that tray is healthy and delicious. Too often people think that healthy means sacrifice, but It’s quite the contrary- once people finally make the change from processed foods to whole foods, they realize that flavors are actually enhanced in the less processed items like whole wheat flour versus white flour. Experiment, and see for yourself! Aside from the sheer fun I had living with my awesome parents, sister, and brother-in law’s this summer, I also got to pick up on some kitchen tips from my mother-in-law’s oh so healthy kitchen. One trick I learned this summer is adding Herbamare to just about everything. 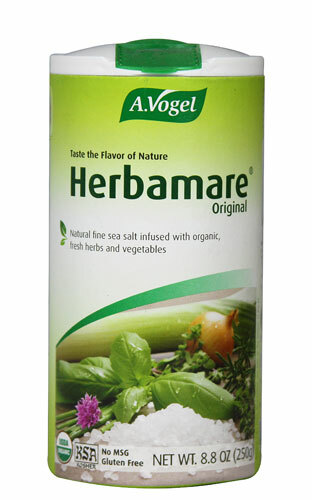 Herbamare is a seasoning salt found in most health food stores. It contains sea salt and a blend of organic fresh herbs and vegetables including, celery, leek, watercress, onions, chives, parsley, lovage, garlic, basil, marjoram, rosemary, thyme, and kelp. It is healthy way to add flavor to steaks, fish, chicken, vegetables, and more. You can also use it as a healthy alternative to table salt. Try adding it to your next meal and let me know what you think! While I believe in including a sufficient amount of healthy fats in our diets, I do not believe in overloading clean vegetables and clean meals ,overall, with grease even in the form of EVOO. A limited amount does the trick health-wise, but for flavor I often turn to herbs, spices, condiments, and these! Sweet by nature, leaving these onions in the oven for a very long time brings out their intensity even more! I add these to everything! 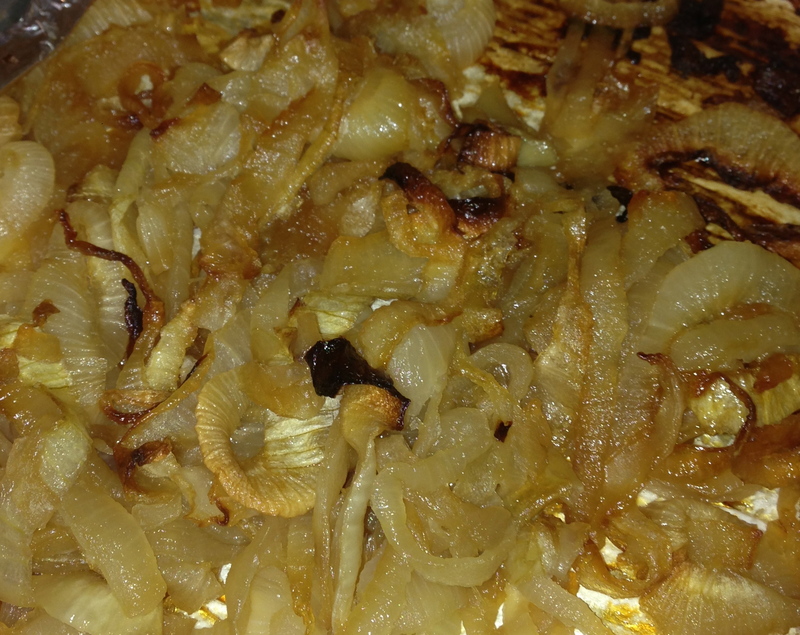 Slice onions into rounds, place on a tray lined with parchment paper, spray with EVOO spray, and bake at 350 for hours, tossing around every so often….Enjoy! 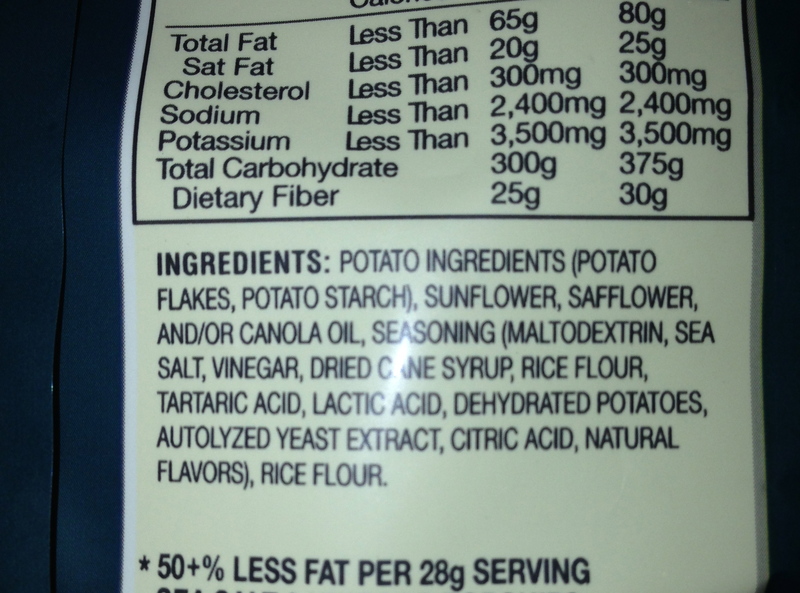 As I was reading the ingredients list on a bag of Salt and Vinegar Pop Chips, I was disappointed to discover the presence of “autolyzed yeast extract” in this supposed “healthy snack.” Autolyzed yeast extract is a form of MSG (monosodium glutamate). What do we know about MSG? 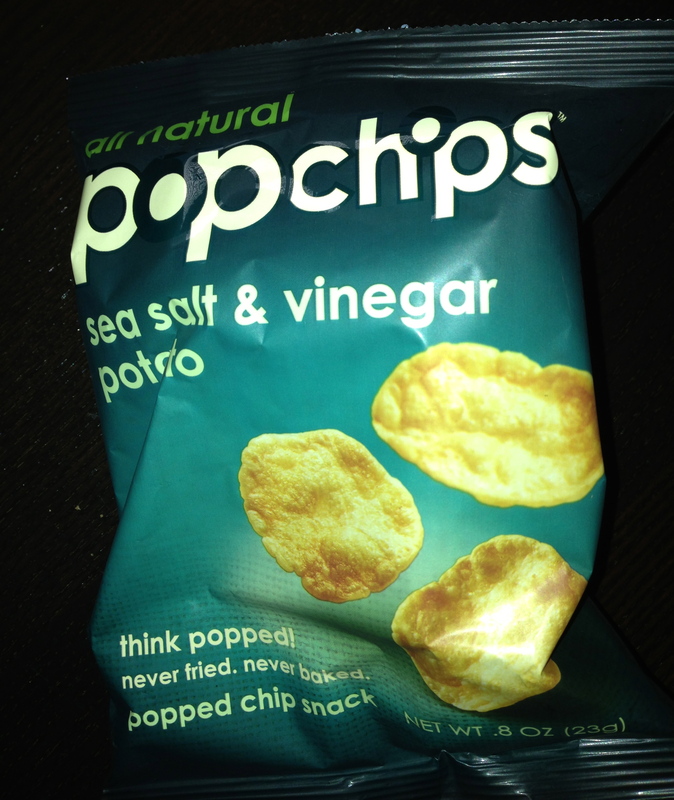 Basically, that it is a neurotoxic flavor enhancer! Ingesting this toxin can cause diabetes, adrenal gland malfunction, seizures, high blood pressure, excessive weight gain, stroke and other health problems. My sister-in-law Frieda sent me this recipe taken from a Goop.com e-mail feed. 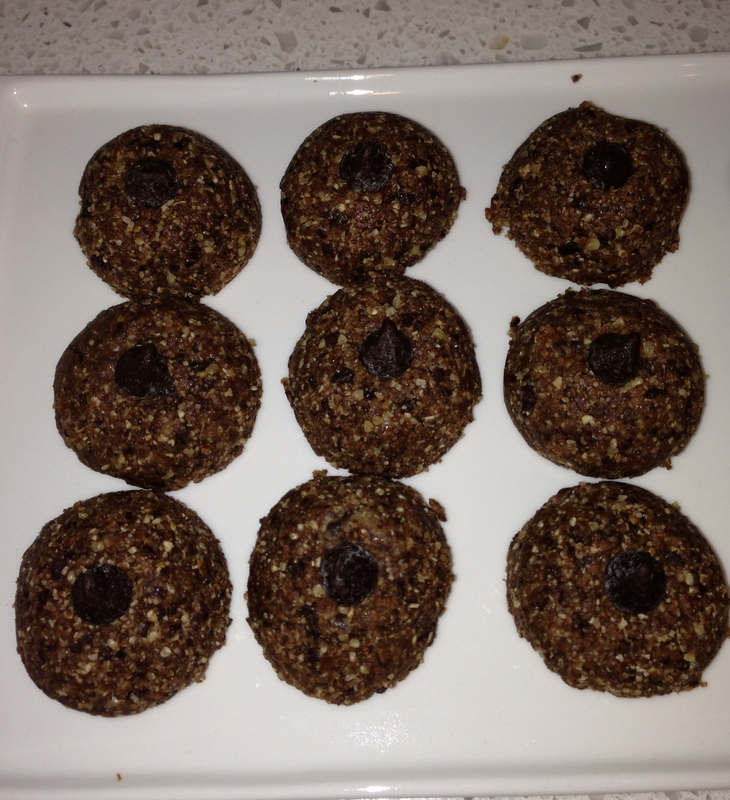 They are quick, easy, and provide a pretty nutritious way to get that chocolate fix. 1. Grind the oats and nuts in a food processor for 1 minute, then add the honey, vanilla, coconut oil, and chocolate chips. 2. Using a 1 teaspoon measure, roll into balls. To Freeze: Place balls in a single layer on a cookie sheet and freeze for 20-30 minutes. Move to a zip top freezer Recipe by Catherine McCord for goop. “Sometimes, we forget to appreciate the simple things in life. The experience of singing, laughing, or dancing with joy; of being in love; of connecting or sharing with others; of inspiration, a sense of productivity, expansiveness; the emotion we feel when we play or hear beautiful music, when we look at artwork – all of these exemplify Light. Gratitude keeps us from taking the blessings in our life for granted and prevents us from falling into a passive reactive state. Where are the blessings in your life? I love this because it illustrates why I originally felt the need to “go minimalist.” I wanted to eliminate the clutter so that I could always see the real joy in life. What a great reminder to appreciate, say thank you, and simply enjoy. Brussels Sprouts are an amazing vegetable that provide our bodies with a mega dose of both Vitamin K and Vitamin C, and a host of other vitamins and minerals.They help our bodies by aiding in detox, providing antioxidants, aiding in digestion, fighting inflammation. The list goes on…The point is they are great for you, but they also taste great. 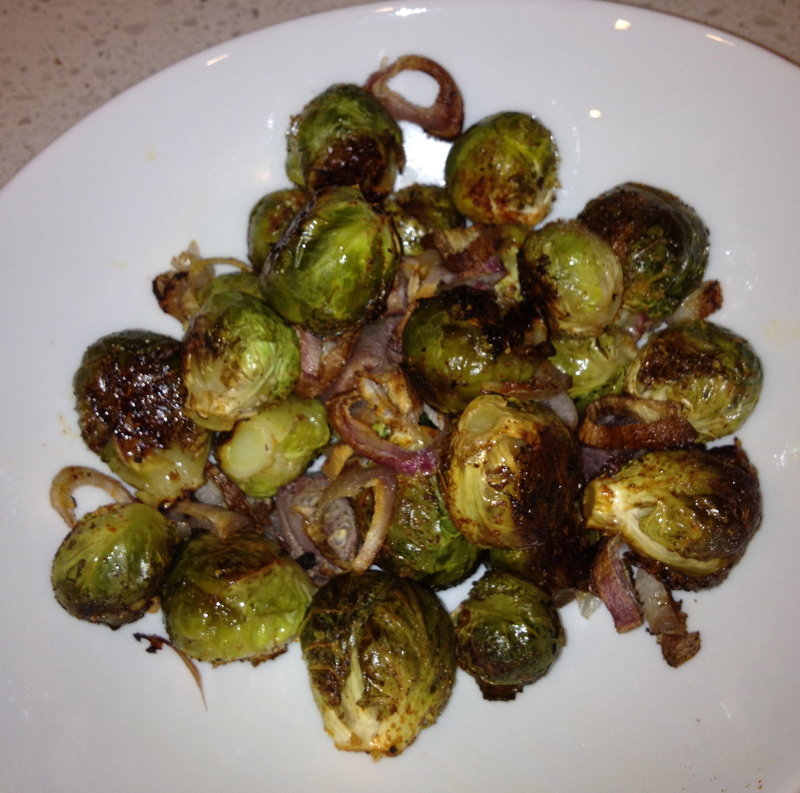 Here’s a minimalist recipe for Brussels Sprouts roasted with Shallots that I make quite often. 1. Place brussels sprouts on a baking tray lined with parchment paper. Spray with Organic Olive Oil spray. 2. Season generously with salt, pepper, garlic powder, and paprika. 3. Spread shallots over brussels sprouts, and spray with olive oil once more. 5. Bake covered, at 425 for about 20 minutes (until brussels sprouts are tender), then lower oven to 375 and uncover until desired doneness (I like them crispy because this recipe makes them crunchy on the outside but buttery and smooth on the inside). Enjoy!